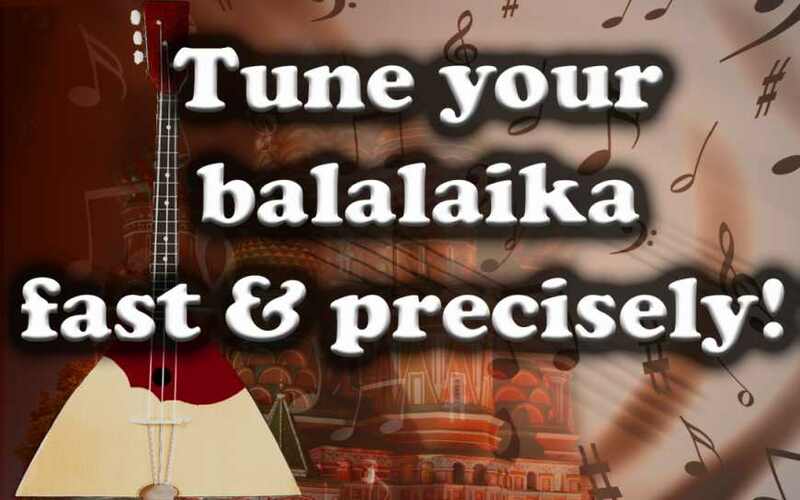 Tune your balalaika fast and precisely! Now anyone can adjust the Russian balalaika fast and accurately! 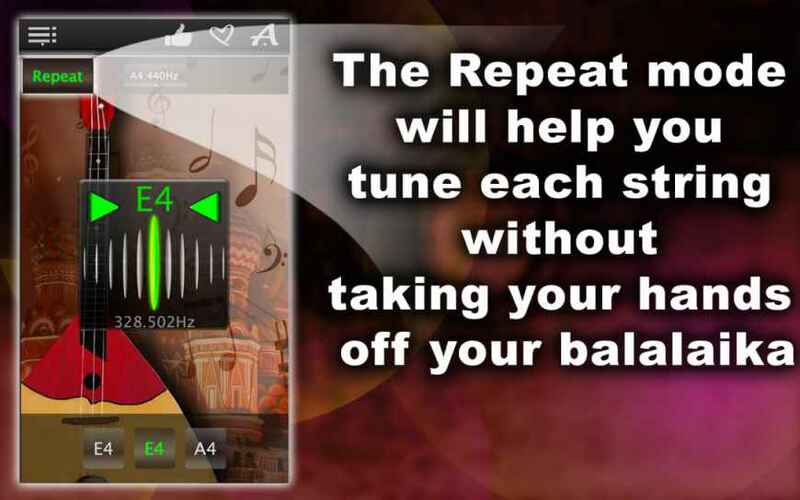 A simple and powerful tuner will help you to do this! 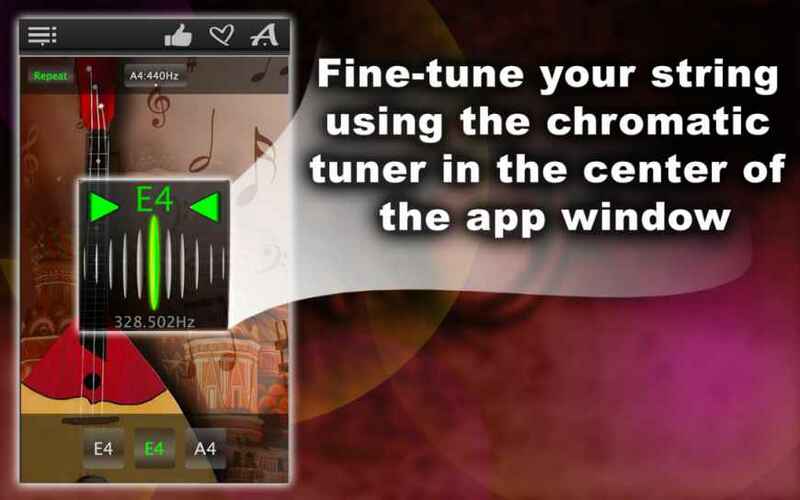 Now you can listen to realistic sound, but also check the tuning and “polish” it with a chromatic tuner, which is located in the middle of the window in application! 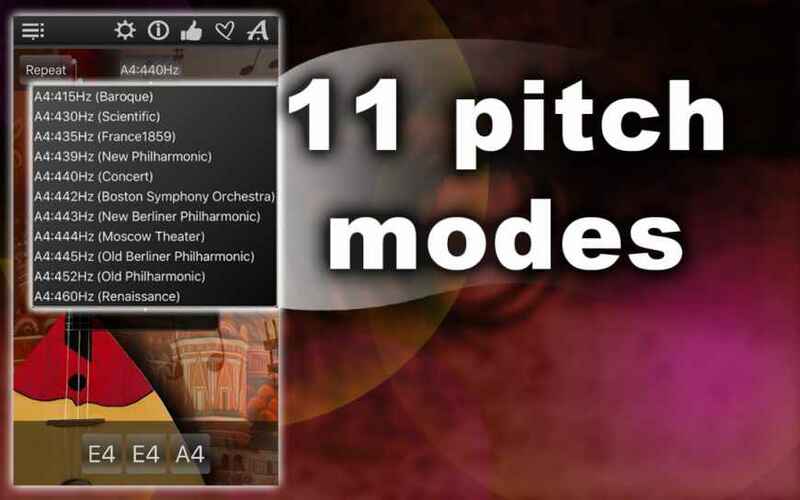 In order to start tuning a balalaika, select the most suitable timbre from the 11 available from the list. 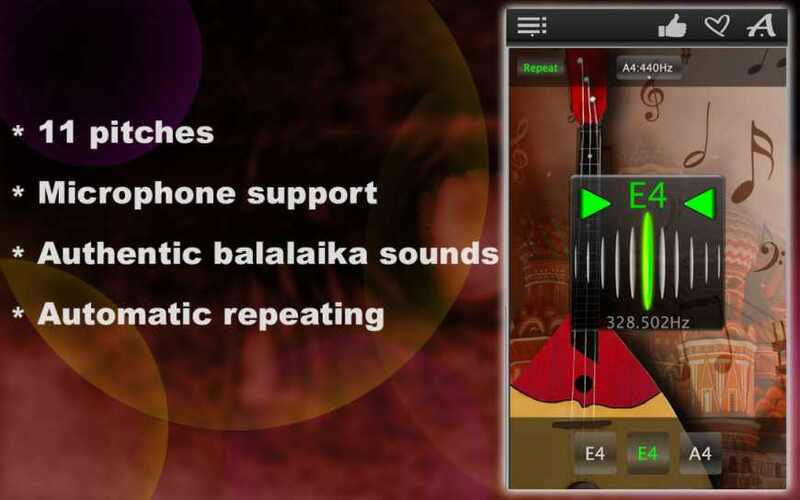 Three buttons at the bottom of the application window correspond to the three strings of the balalaika. Each one of them will play the sound of an ideally tuned instrument string. If you want to simplify the setup process, use the Repeat Mode. This will allow you to adjust the balalaika without taking your hands off it. The chromatic tuner in the middle of the application window will automatically check how the string you are working with is tuned. 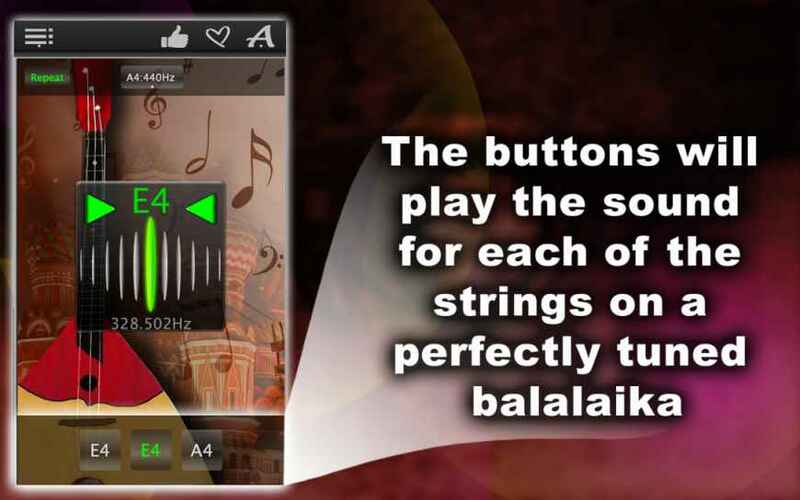 Also, you can use it to fine-tune the strings of a balalaika. If the string is tuned perfectly, the chromatic tuner will blink green. If you see red light, you need to continue the setup. The app even will tell you what to do with the string: if you see a red arrow pointing to the right, the string is strained badly. If the red arrow points to the left, the string is overstretched. Continue tuning the string until the tuner blinks green, then go to the next one, and so on until your balalaika is perfectly tuned. And now enjoy the play on the Russian balalaika!